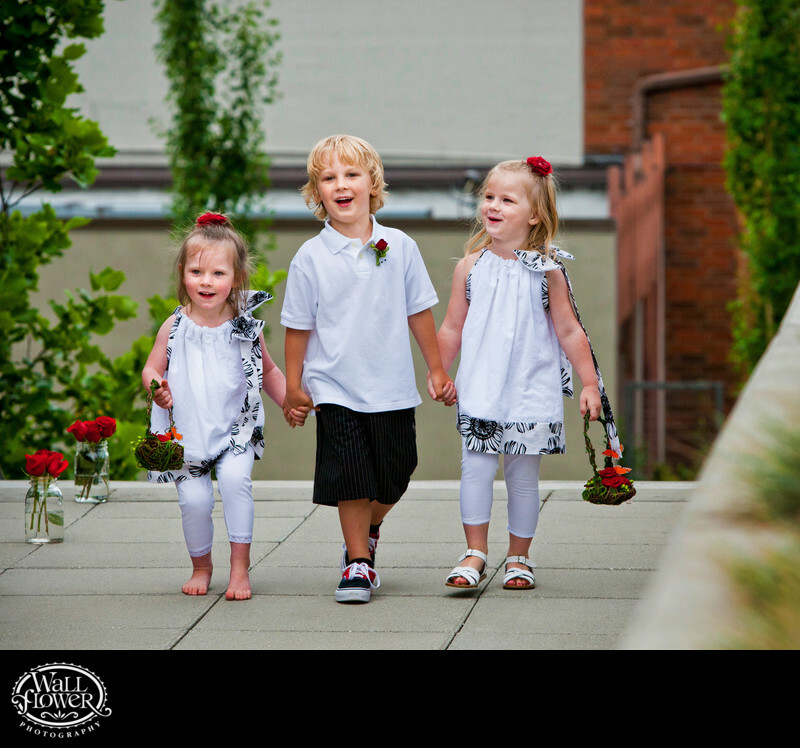 These three adorable kids are being the perfect ring bearer and flower girls as they hold hands and smile while walking into the wedding ceremony. The setting of this ceremony is the Puyallup City Hall patio, next door to the Pioneer Park Pavilion, a more commonly used wedding venue where the reception took place. City Hall sounds like a strange place for a wedding ceremony, but is actually really cool, and we got all sorts of nice photos of the ceremony, including a second one in this gallery of the bride and groom slapping high-fives. We even shot some portraits here, as well as at Pioneer Park across the street, including a ring and shoes photo in the Detail gallery.